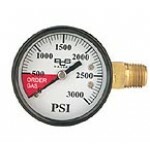 High pressure gauge for high pressure systems 0-300 psi. .. 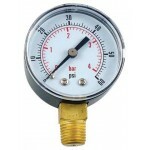 The high side gauge is used to tell how much product is still left in the tank, left hand thread. 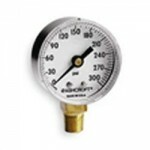 ..
Low pressure gauge for beer regulators 0-60 psi. ..